Sometimes you produce a track with nothing but a dancefloor and a good sound system in mind. “Twelve Inch Jams” is offering you just that – strictly two A side tunes for the floor cut at 45 revolutions per minute. 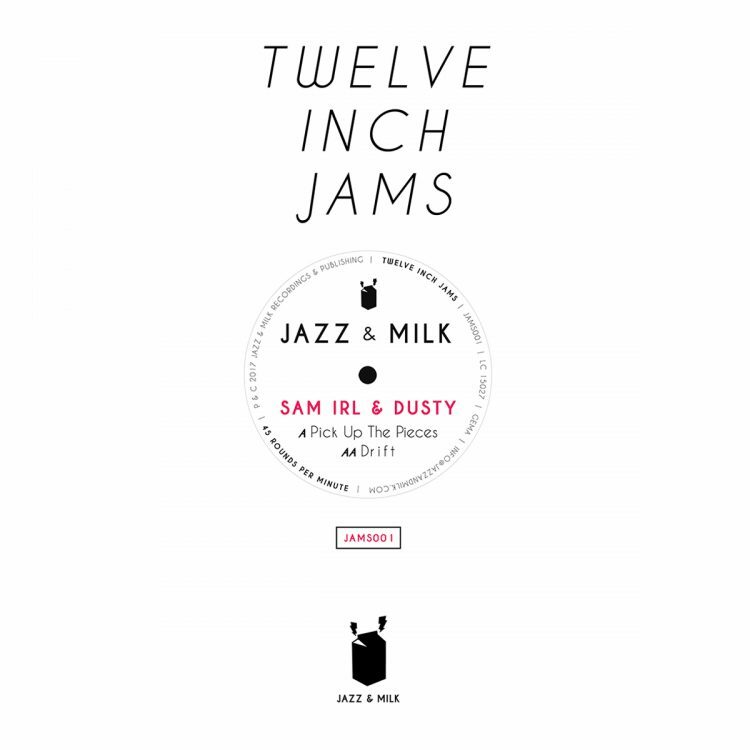 Jazz & Milk pays tribute to this classy release format with their new 12” vinyl series. Each record comes in a hand silk-screened printed and stamped sleeve! The series starts off with members of the label family – Vienna’s Sam Irl and the man behind Jazz & Milk, Dusty. The two not only share a good friendship, but also the love for raw and sample-based house music tunes produced on the MPC. ‘Pick Up The Pieces’ is driven by a rough bass drum, filthy dub vocal samples, harmonic synth chords and a bassline that makes you bounce. So let’s pay tribute to good music and Tom Moulton’s legacy – the 12” single!